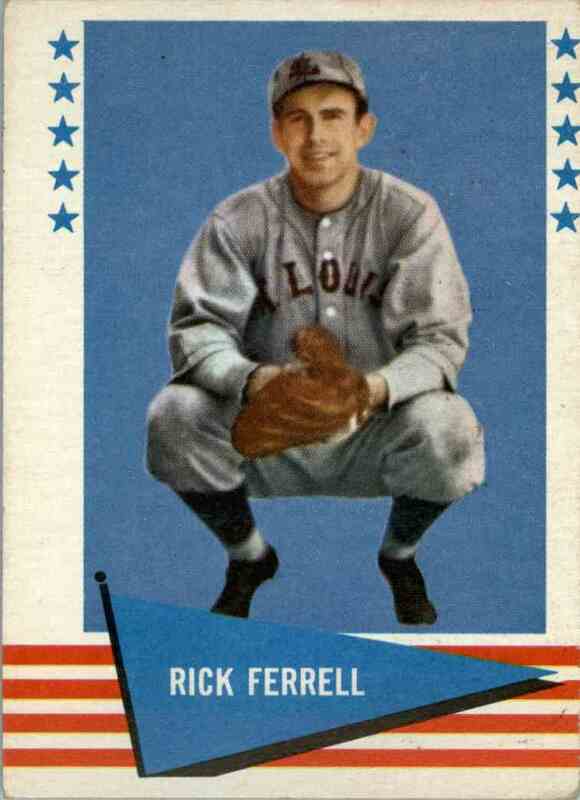 This is a Baseball trading card of Rick Ferrell. 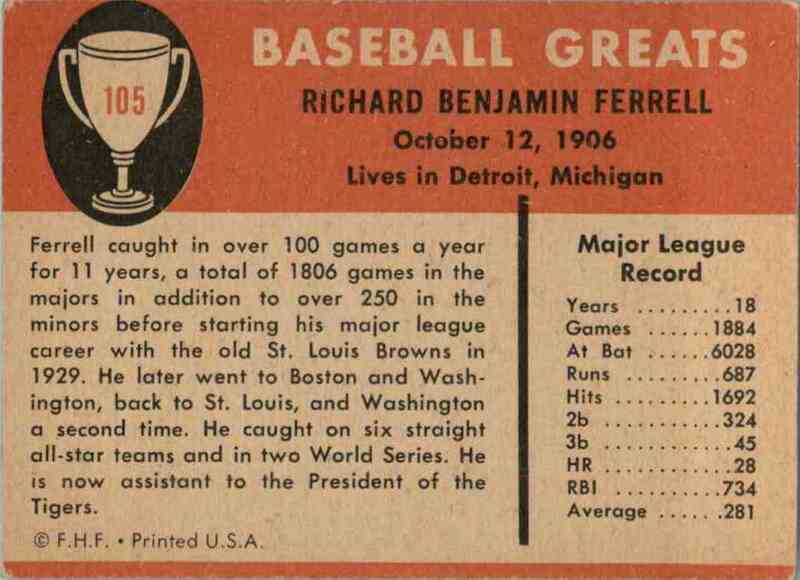 It comes from the 1961 Fleer set, card number 105. It is for sale at a price of $ 7.25. Returns accepted within 30 days. Buyer pays the shipping.